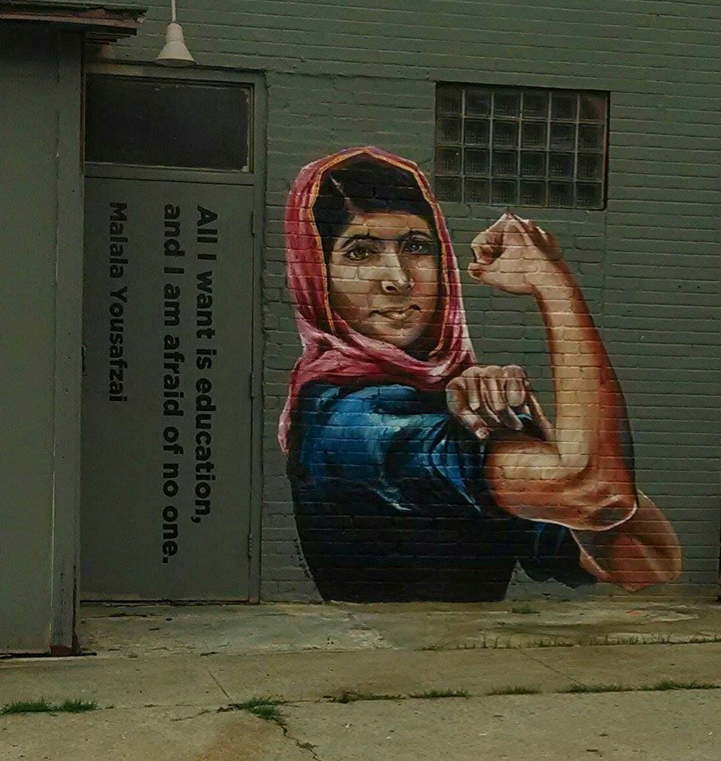 A powerful reimagining of Malala as Rosie the Riveter by Anat Ronen's muralsin Houston, Texas. Malala and Rosie the Riveter Mash-up. "All I want is education, and I am afraid of no one."